Skills and strategies make organizations operate more effectively and efficiently. These are anchored on good leadership. This is where good executives, managers, and supervisors come in. They have the opportunity – and responsibility — to directly impact their team’s work and ensure they contribute to the greater success of the organization. If you are currently leading a team, a department, or even a group of executives, it’s important to continue developing your people management skills. Here are 14 books that can make you a more effective leader. 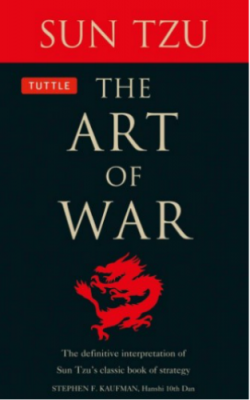 A great war leader and strategist, Chinese military general, Sun Tzu, wrote The Art of War to detail his personal philosophy on leadership, war strategy, work, and life in general. While the book was written all the way back in 5th century B.C., the book has become a classic. It has helped today’s presidents and CEOs become great leaders. It is full of insights on how leaders should lead by example, subdue competition, engage and treat subordinates, and finally, take swift action. On Becoming a Leader is a guide to bringing out your inner leader in a format less like a business manual, but more of a self-help book. 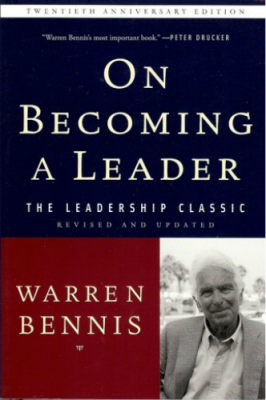 Widely regarded as a pioneer in contemporary leadership, this book from Warren Bennis takes on shortsighted thinking and lack of self-awareness as a “disease” that plagues leaders. To address it, he proposes honing your inner voice, nurturing a passion for what you do, and cultivating trust among those who follow you. In his book, psychologist, Daniel Goleman, focuses on vulnerability and use of other emotions as important concepts in leadership. 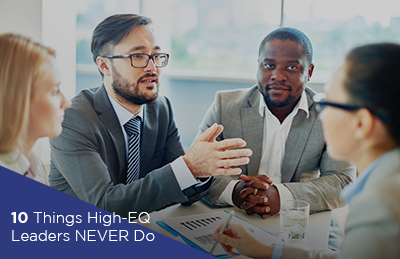 He discusses the role of emotional intelligence in leading others in a positive way. His argument is based on multiple case studies, which have shown that leaders with the ability to channel emotions in a positive direction are often the most effective and inspiring. 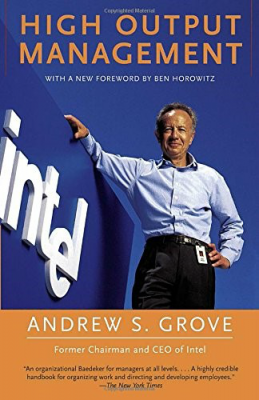 Looking back on his time as co-founder and CEO of Intel, the late Andy Grove details the most basic of leadership principles that are enabling others. 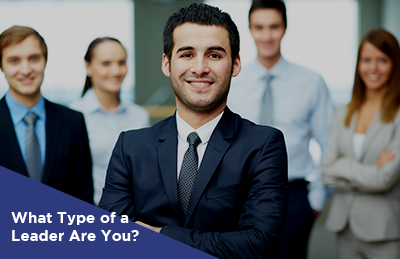 As a leader, he argued that it is your team’s output and not your individual performance that should be the metric you are looking at. In the book, the author also shares and discusses five important activities that must take up an effective leader’s time: decision-making, information gathering, nudging, and role-modeling. A former management professor at the MIT Sloan School of Management, the late Douglas McGregor revolutionized how human resources and managers see employees. Before McGregor’s work, employees were often presumed to be inherently lazy and unmotivated, and that managers must hound them to become more productive. In his book, McGregor argued that what management ultimately needs to do is to set workplace conditions that will allow people to do and want to do well at work. 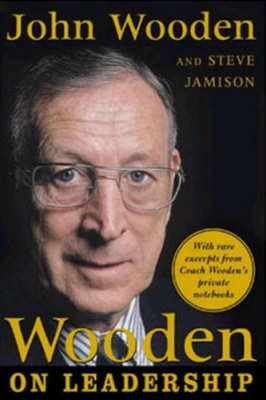 Known as the most successful college basketball coach and mentor, John Wooden has won the NCAA 10 times. 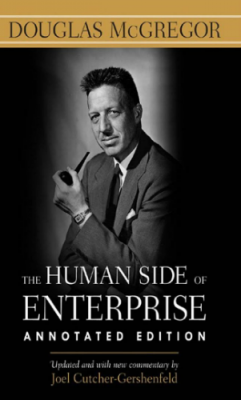 In his book, he offers solid tips and leadership inspiration that mostly apply to businesses and the workplace. He also discusses his “Pyramid of Success,” which is a triangular illustration of 25 behaviors that he found essential to personal achievement. These behaviors are widely-cited by management consultants and team-builders all around the world. 7. 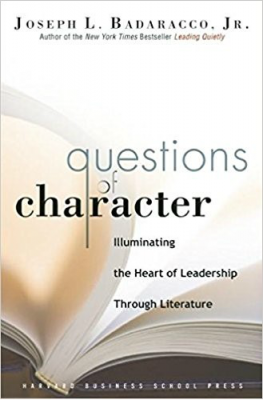 Questions of Character: Illuminating the Heart of Leadership Through Literature (2006) by Joseph L. Badaracco Jr.
A professor at the Harvard Business School, Joseph L. Badaracco uses characters from great literary works to teach about leadership. His book, Questions of Character, is segmented into eight questions that leaders in the real world commonly face, followed by illustrating each one with an example from literature. The author reflects the challenges of leadership and the perils caused by failing to lead well. Daniel H. Pink is a leading business thinker with best-selling books on work, management, and behavioral science. 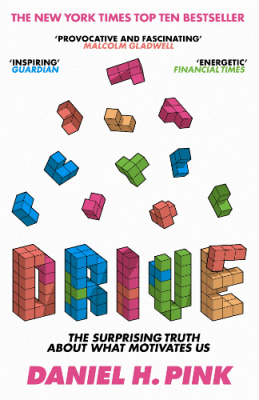 In his book, Drive, Pink zeroes in on motivation as a key factor in effective leadership. 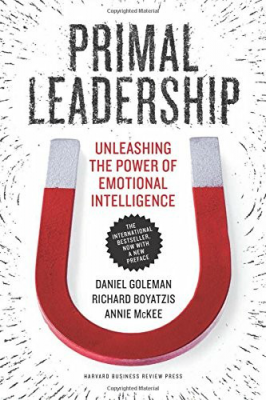 While many are focused on leading through incentives or even causing fear, the author uses multiple scientific findings as a basis on why leaders simply need to treat people like people, and not as physical assets. This slender book is dedicated to helping leaders develop new leaders. 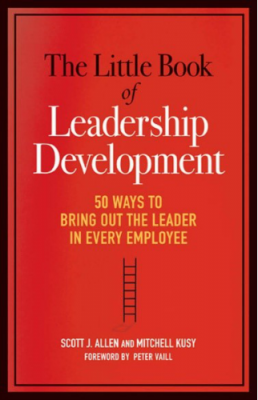 Free of complicated concepts and theories, The Little Book of Leadership Development goes straight into the heart of great leadership, as it focuses on what can get individuals motivated, working effectively, and becoming leaders themselves. The book offers streamlined instructions on 50 leadership principles such as modeling behaviors, sharing information, providing feedback, stretching teams, accountability, and many others. Using a combination of any of these 50 practical strategies, managers can design a leadership development system that is unique to the needs of their team and/or organization. The book may also enable leaders to self-reflect and see what powerful ideas they can implement to improve team communication, efficiency, and morale. 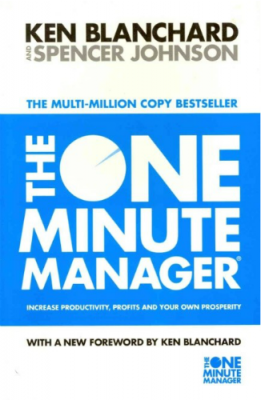 A global publishing phenomenon, The One Minute Manager, spent more than two years on the New York Times bestseller list. The short book discusses three techniques of an effective manager: one-minute goals, one-minute praisings, and one-minute reprimands. A one-minute goal is recording the desired goal and/or performance standard on a piece of paper that must only take a minute to read. 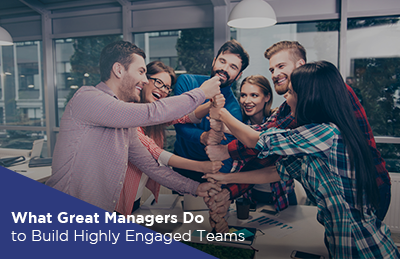 Next, great managers must catch employees doing something right, and reinforce the good effort with one-minute praisings. Finally, bad deeds must be pointed out with a one-minute reprimand. The authors argue that while these three strategies only take a minute, their effects are long-lasting. 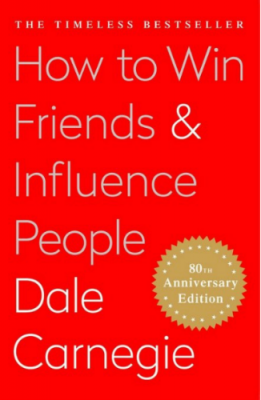 For about 80 years, the advice from Dale Carnegie’s book has carried thousands of leaders up the ladder of success in both their business and personal lives. The author discusses fundamental techniques in handling people, tips on making people like you, strategies to win people to your way of thinking, and ways to change people without arousing resentment. Companies can become successful in a short period of time, but how can they sustain profits in the long run? This is the central question that renowned business speaker and consultant, Jim Collins, tries to answer in his book. 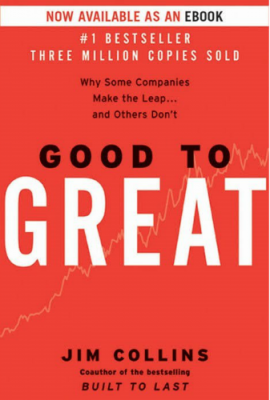 Good to Great is essentially an analysis that begins with all 1,400 companies on the Fortune 500 list since 1965 and then narrows down to 11 organizations that have sustained excellence over time. What Collins has found is that these companies including Gillette, Kroger, and Wells Fargo succeeded by going against accepted industry wisdom. He also discovered seven characteristics that contributed to their success such as a culture of discipline, harnessing technology in an efficient way, and hiring the right employees. Who Moved My Cheese? Is a short read, but is rich in lessons on leadership. The book is essentially a parable about two mice and two men who are in a maze and struggling to find enough cheese to survive. The lesson is simple: the key to successful leadership is embracing change because it is inevitable. Employees will apply and resign, clients come by and go, and projects will start and end. Dr. Spencer Johnson argues that the only way to ensure that a company survives is through a leader that ensures everyone is moving towards a long-term goal, no matter what change is thrown at you along the way. 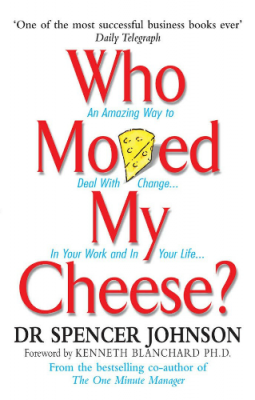 Cheese is one of the bestselling business books of all time—with over 25 million copies sold worldwide. 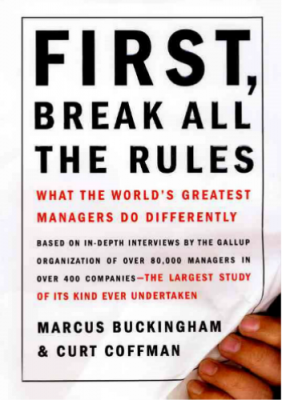 First, Break All the Rules was written by Gallup consultants, Marcus Buckingham and Curt Coffman, to encourage managers and leaders to personalize their leadership style. By analyzing responses from more than 80,000 interviews, the authors have determined that the best managers break away from the traditional, one-size-fits-all leadership that do not work and assign the right people to the right role, enabling them to do their best work. A few takeaways from the book include treating employees as individuals, setting specific goals, and focusing on employee strengths instead of pointing out weaknesses. Employees function mostly as a solitary unit: they do their work, produce their output, and the work is done. For leaders like you, however, your success is measured not by your own results and outputs, but by other people’s work. These sixteen books on leadership can provide valuable insight on how you can motivate others to do their job well, maximize their strengths, and produce a high-performing team. Add these books to your to-read list and start learning how to enable others to be the best at what they do.